Business breakfast on Tax reform and real life – what is new? 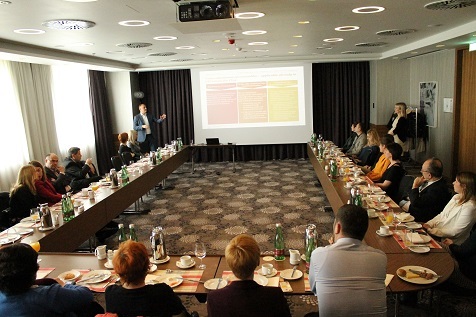 Nordic Chamber of Commerce organized on Thursday 23 March 2017, at Hotel DoubleTree by Hilton Zagreb, a business breakfast with PricewaterhouseCoopers Croatia, a member company of the Chamber. The lecture on the topic “Tax reform and real life – what is new?”gathered financial managers (CFO), accountants, business consultants, bankers and other representatives from accounting and tax affairs field. During the presentation representatives of Nordic-Croatian business community were informed about recently introduced tax reform with focus on changes in value added tax (VAT), corporate income tax and personal income tax. The aim of the lecture was to cover most important aspects such as; to provide an overview of the most significant changes with a critical view on some of them, to compare old and new rules when relevant and explain the real effect on taxpayers and to explain who is affected by changes and when. The lecture raised huge interest among Nordic Chamber of Commerce members and business partners, and was followed by Q&A related to the subject.